Note: For cars with 292 mm (11.50") Brake Disc. 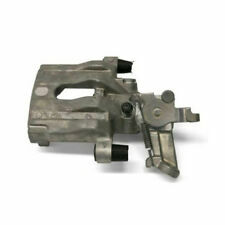 This Listing Contains: 1 - 93172184 - ATE - Brake Caliper Rear Driver Left *For cars w/ 292 mm (11.50") Disc Brake. 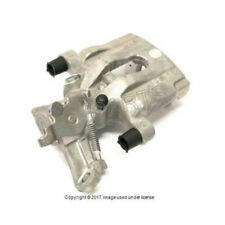 New - ATE/Premium One 93 172 184 / 93172184 / 93-172-184 / 220569 Brake Caliper. Position: Rear Left, Rear Right. 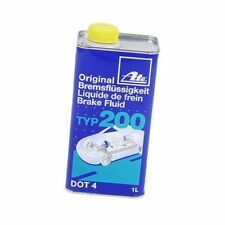 Notes: For cars with 278 mm (10.95") Brake Disc. Quantity: 1 Set ( 2 Rear Brake Discs). To verify if a particular part also fits your car in another market (ie Far East / So. ). NEW Saab 9-3 Power Brake Booster. Read Vehicle Compatibility. 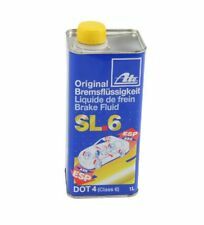 2001 - 2003 Saab 9-3 SE SE model only. 2001 Saab 9-3 Base Base model only. Note to Fed Ex Overnight Services: These are available to most Zip Codes at shown rates! OE Number 5391578. Manufacture Number 410226. Note ATE Brake Part. 1997 - 1998 Saab 900. 1999 - 2003 Saab 9-3. 1999 - 1999 Saab 9-5. Saab ATE Front Disc Brake Rotor 425119 32025723. Part Type Disc Brake Rotor. Manufacture Number 425141. OE Number 93171497. Note ATE Brake Part. 2003 - 2011 Saab 9-3. 2010 - 2011 Saab 9-3X. Saab ATE Front Disc Brake Rotor 425119 32025723. Part Type Disc Brake Rotor. 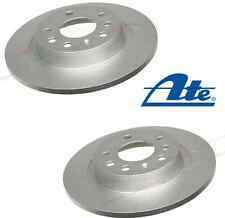 Saab 9-3 ATE/Premium One Rear Disc Brake Rotors (2) 410226 5391578. Two - 93 171 497 - Front Brake Disc Rotor For cars with 285 mm (11.25") Brake Disc. One - 99 900 004 - Front Brake Pad Set For cars with 285 mm (11.25"), or 302 mm (11.90") Brake Disc. 99 900 004 - Front Brake Pad Set Ate. 93 166 942 - Rear Brake Pad Set Ate. 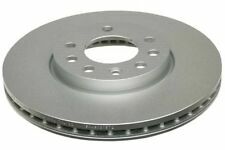 For cars with 285 mm (11.25"), or 302 mm (11.90") Brake Disc. Two - 93 171 497 - Front Brake Disc Rotor For cars with 285 mm (11.25") Brake Disc. 2004 - 2011 9-3. 2003 9-3 Vector. 93 192 749 - Front Brake Pad Set Ate. 48 37 241 - Rear Brake Pad Set Ate. 2000 - 2002 9-3. Manufacture Number 420239. OE Number 93188378. Note ATE Brake Part. 2008 - 2011 Saab 9-3. 2010 - 2011 Saab 9-3X. Part Type Disc Brake Rotor. Saab 9-3 Hella-PAGID Rear Disc Brake Rotors (2) 355109212 12762290. Note: For cars with 314 mm (12.4") Brake Disc. 93 192 749 - Front Brake Pad Set Ate. 48 37 241 - Rear Brake Pad Set Ate. Two - 53 91 578 - Rear Brake Disc ATE COATED Solid. Recently made by ATE COATED, not been lying around. Saab part# 93 171 500, check fit below. Brake Disc Front (set of 2). NOTE : For cars with 302 mm (11.90') Brake Disc. If you buy more than one item, wait for an invoice. "ATE Brake Booster --. ATE BRAKE BOOSTER. Condition : New. Therefore all implied warranties that may apply to your part are limited to the duration of this written warranty. Each warranty gives you specific rights, and you may have other rights which vary from state to state. 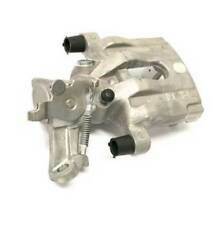 This Listing Contains: 1 - 93172185 - ATE - Rear Passenger Right Brake Caliper *For cars w/ 292 mm (11.50") Disc Brake. New - ATE/Premium One 93 172 185 / 93172185 / 93-172-185 / 220570 Brake Caliper. Manufacture Number 607195. OE Number 31341331. Note ATE Brake Part. 2004 - 2011 Saab 9-3. 2010 - 2011 Saab 9-3X. Part Type Disc Brake Pad Set. Saab ATE Front Disc Brake Pad Set 607172 12803551. Volvo S40 ATE Front Disc Brake Pad Set 607166 4B0698151AD. 2008 SAAB 9-3 AERO. We will do our best to resolve any issues. Be sure for what you buy! - it is an electronic part in good condition. - don’t need it anymore;. - wrong part ordered;. - doesn’t fit;. Manufacture Number LD7194. OE Number 99900003. Note ATE Rotors and Ceramic Pads. 2003 - 2003 Saab 9-3. Part Type Disc Brake Pad Set. Saab 9-3 ATE Rear Disc Brake Pad Set 604040 4837241. Saab ATE Front Disc Brake Pad Set 607172 12803551. Manufacture Number 607173. OE Number 93192749. Note ATE Brake Part. 1997 - 1998 Saab 900. 1999 - 2003 Saab 9-3. 1999 - 2009 Saab 9-5. Part Type Disc Brake Pad Set. Saab ATE Front Disc Brake Pad Set 607172 12803551. Two - 12 762 291 - Rear Brake Disc For cars with 292 mm (11.50") Brake Disc. Two - 93 171 497 - Front Brake Disc Rotor For cars with 285 mm (11.25") Brake Disc. One - 99 900 004 - Front Brake Pad Set For cars with 285 mm (11.25"), or 302 mm (11.90") Brake Disc. 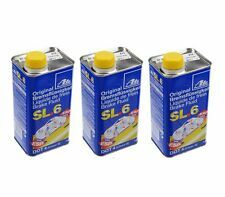 Manufacture Number LD7195. OE Number 31341331. Saab 9-3 ATE Rear Disc Brake Pad Set 607195 31341331. Note Ceramic pads made by ATE (OEM Supplier). 2004 - 2011 Saab 9-3. 2010 - 2011 Saab 9-3X. Part Type Disc Brake Pad Set. Recently made by ATE COATED, not been lying around. Saab part# 12 762 290, check fit below. 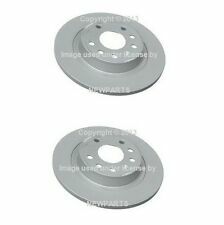 Brake Disc Rear (set of 2). NOTE : For cars with 278 mm (10.95') Brake Disc. If you buy more than one item, wait for an invoice.